SETH’S PICK :: BLACK WIDOW #1: There are several new Marvel reboots/relaunches coming up in the next few months, and I’m anticipating a good number of them. We’ll see Felipe Smith and Tradd Moore starting a brand new car-driving Ghost Rider, Jason Latour teaming with Mahmud Asrar on Wolverine and the X-men, Kelly Sue DeConnick returning to Captain Marvel, and Mike Allred on Silver Surfer. 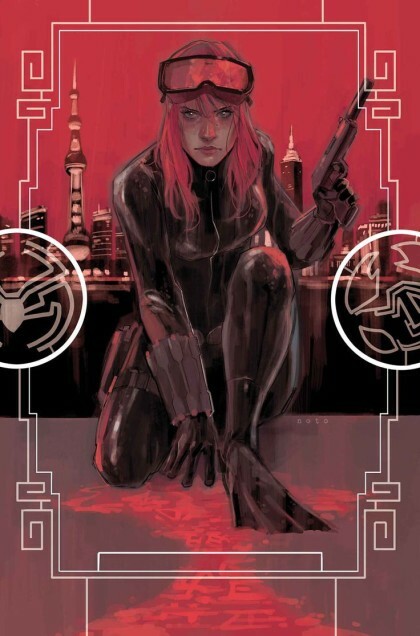 Add to that list this week’s Black Widow #1 by Nathan Edmondson and Phil Noto. Edmondson has a knack for collaborating with exceptional artists, and he’s done it again here. 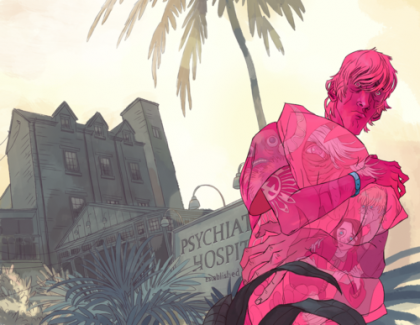 Who doesn’t want to see Phil Noto illustrate a Black Widow series? Start the year on a good note with this comic, and don’t forget about those other upcoming debut issues hitting the shelves soon. RICO’S PICK :: THE DREAM MERCHANT #1: I don’t know the premise of this new series by Nathan Edmondson and Konstantin Novosadov but the art stopped me cold. The drawing, composition, and color are inspired. This issue is double sized so it’s like getting the 1st 2 issues of a series for $3.50. Let’s check it out and let’s see where it goes!